Central Aroostook Panthers perform their routine at the Class D state championship competition Saturday morning at the Augusta Civic Center. 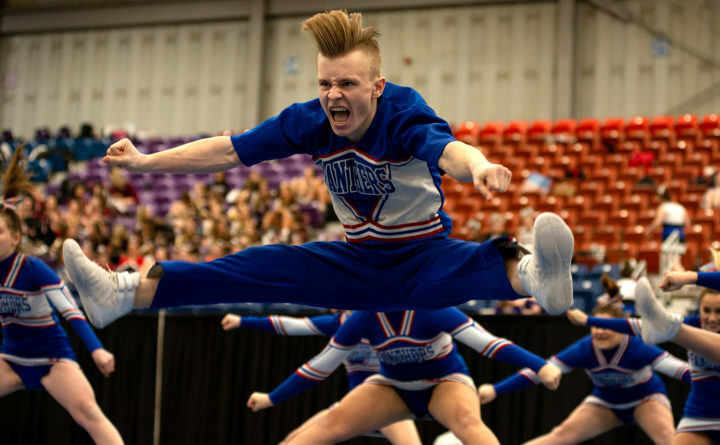 AUGUSTA, Maine — The Central Aroostook of Mars Hill cheering squad not only maintained its status as the the state’s best Class D cheering squad Saturday, but did so in record-setting fashion at the Augusta Civic Center. The Panthers became the first squad since the Maine Principals’ Association began sponsoring cheering competition in 1994 to win six consecutive state championships. Deer Isle-Stonington cheerleaders perform their routine at the Class D state championship competition Saturday morning at the Augusta Civic Center. The Panthers not only entered this year’s state final as the five-time defending champions, but also had won five in a row between 2008 and 2012 to bring their run to 11 state titles in the past 12 years. Hermon also won five straight Class B state titles between 2011 and 2015. Central Aroostook finished with 74.8 points, well ahead of second-place Penobscot Valley of Howland (66.5). Machias (53.8), Deer Isle-Stonington (52.5), Bangor Christian (52.4) and Woodland (51.6) rounded out the six-school field. The Central Aroostook cheerleaders celebrate their Class D state championship Saturday morning at the Augusta Civic Center. The Panthers may have compensated for any lapses in execution with the energetic nature of their performance after resting in Augusta on Friday night rather than make the 220-mile trip south early Saturday for their performance, which took place at approximately 10:30 a.m.
Penobscot Valley Howlers perform their routine at the Class D state championship competition Saturday morning at the Augusta Civic Center. The Howlers won second place. Members of the state champion Central Aroostook squad are Megan Brewer, Audree Burtt, Natalie Carson, Emma Fletcher, Gracie Giberson, Daisy Grant, Amy Gerritsen, Elizabeth Hotham, Madison Howlett, Mersaydez Johnston, Olivia Pelletier, Jenna Rusby, Jack Schafer, Janelle Tweedie and Jillian Tweedie. Representing runner-up Penobscot Valley were Emma Buck, Paige Carter, Ainsley Hainer, Kiera Hatch, Isabella Heald, Maggie LeBlanc, Julianna Rogers, Indica Rosario, Makayla Sisco, Delaney Theriault, Kara Theriault and MacKenzie Thompson. Penobscot Valley was awarded the MPA’s Class D Sportsmanship Award. 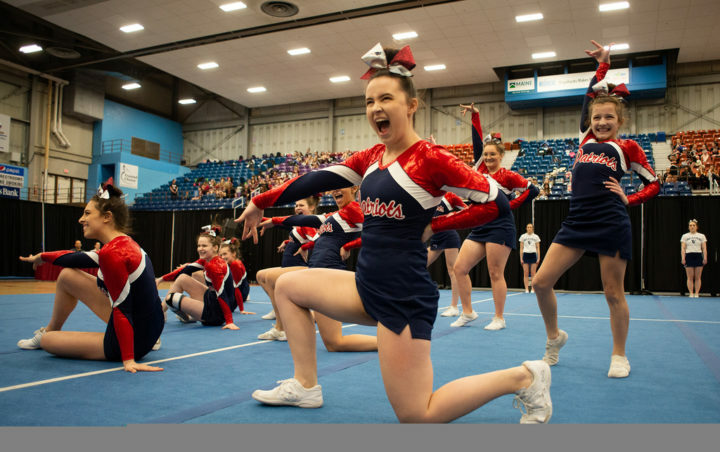 The Bangor Christian Patriots perform their routine at the Class D state championship competition Saturday morning at the Augusta Civic Center. The team came in fifth place. 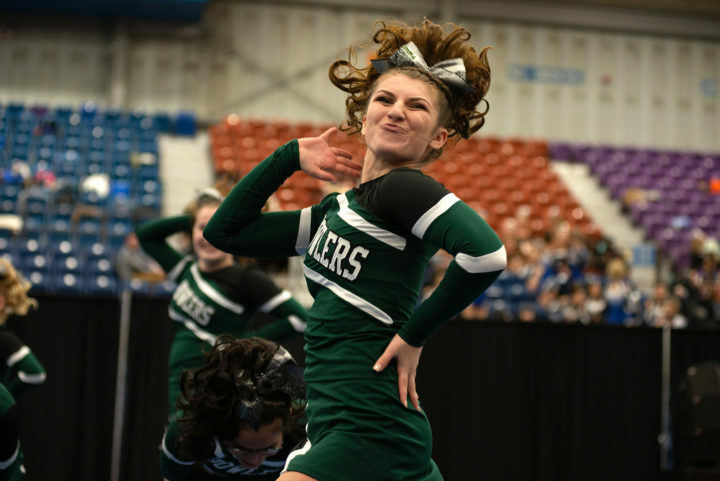 The Deer Isle-Stonington Mariners perform their routine during the class D state cheerleading competition on Saturday at the Augusta Civic Center. The Penobscot Howlers perform their routine during the class D state cheerleading competition on Saturday at the Augusta Civic Center.